Bioplastic manufacturing leader Cereplast has increased the post-industrial biomatter content of its algae-based resin to 51 percent. Biopropylene A150D is the company’s second injection-molding grade of algae bioplastic. Earlier this year, the company announced it had successfully commercialized Biopropylene 109D, its first injection-molding grade of algae-based bioplastic. That resin, which is recommended for thin-walled applications, is made with 20 percent post-industrial algae biomatter.Like its predecessor, the new resin can be processed on existing injection molding machines, such as conventional hydraulic and electric reciprocating screw equipment. Also like its predecessor, Biopropylene A150D targets thin-walled uses. It will be available by the end of the second quarter, the company stated in a press release. The new resin, like the company’s other algae-based bioplastics, is designed to replace as much as half of the petroleum-based polymers used in traditional resins. Although algae for the use of biofuel has been criticized by some, many still consider it a viable form of biofuel or bioplastics. 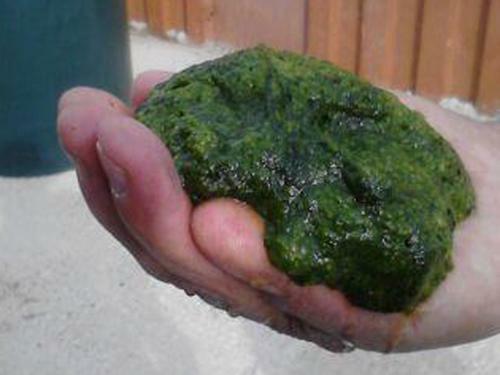 The material’s high cost of capital and its need for large amounts of water during growth and processing are likely to make it difficult for algae to compete price-wise with other fuels in the next several years, some experts have said. Yet it is valued as an alternative to using material derived from food-based crops as feedstocks. Cereplast was one of the first companies to blend algae with a polypropylene, and has worked on the technology since 2008. In 2010, the company announced it was close to achieving the manufacture of hybrid resins that would blend algae with petroleum-based plastics. These resins would have properties good enough for inclusion in its line of Cereplast Hybrid resins (now known as the Cereplast Sustainables line, targeted at automotive, consumer electronics, and packaging). The result, two years later, was Biopropylene 109D. In February, the company announced that it had formed a subsidiary, Algaeplast, for developing and manufacturing all of its algae-based bioplastics, including a new monomer and new polymers. The new company will work toward the goal of achieving 100 percent post-industrial biomatter content in its polymers, which it expects to reach within the next five years, said chairman and CEO Frederic Scheer in a press release. In March, Cereplast filed a patent for its algae bio-content polymers. It was recently granted a patent for its “biodegradable nanopolymer compositions and biodegradable articles made thereof,” which are its starch-based bioplastics. The company’s starch-based bioplastics are based on PLA, PHB, PHA, soy protein, or starches from corn, tapioca, or potatoes. Cereplast blends the biopolymer with other ingredients in a proprietary process that strengthens its molecular structure. The blend is then polymerized and its structure is further reinforced by treating it with nanocomposites. Cereplast’s algae-based plastics derive from biomass byproducts that result from industrial processing to extract specialty chemicals for algae biofuels and nutritionals. The biomass does not rely on commercial biofuel production. The company uses a post-industrial process to eliminate the characteristic odor of algae. The new resin, Biopropylene A150D, comes in medium to dark green colors, and is also available in dark brown or black. Depending on process conditions and the surface of the mold, it can be given either a matte surface or a shiny surface.